Premature birth has a large and lifelong impact on women and their babies. But a new non-invasive tool can predict the chances of premature birth before signs arise, allowing care providers and parents to be proactive instead of reactive. From the moment that pregnancy test comes back positive, new moms focus their energy on getting everything ready with that due date in mind—prepping for parenthood, nesting in the nursery, and getting ready for delivery. Unfortunately for many moms, their timeline gets cut short when their labor progresses earlier than 40 weeks, and they're facing premature birth and the risks that come along with it. According to Centers for Disease Control and Prevention, one out of 10 infants in the United States in 2015 were born prematurely, and while that number continues to drop each year, it's still a major health issue for many families. 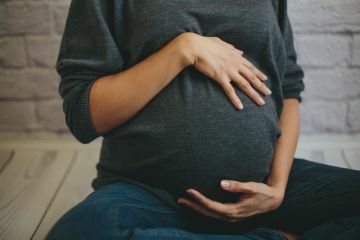 "On the maternal side, preterm birth leads to anxiety and stress on the family," says Dr. Jill Hechtman, MD, the medical director of Tampa Obstetrics in Tampa, Florida. "Feelings of fear, helplessness, shock, confusion, unmet expectations, disruption of their normal routine, and separation from their baby all play a role." The U.S. has the sixth highest rate of premature birth in the world, and the impacts of this last far beyond the first year of life. Babies that are born prematurely run the risk of major complications including breathing problems, heart issues, feeding problems and some longer-term complications such as vision and hearing problems, cerebral palsy and psychological problems. And the World Health Organization reports premature birth complications are the leading cause of death among children under 5 years of age, globally, and was responsible for nearly 1 million deaths in 2015. Dr. Hechtman says that it's important to recognize the signs of premature labor, which aren't always obvious. Symptoms can include backaches, cramping, and vaginal discharge—and can come on suddenly and subtly, which can make treatment difficult. And unfortunately, even the most aggressive treatments to stop or delay delivery are not always successful, as Stephanie Ricks from Helena, Montana, can attest. After experiencing an early miscarriage, she became pregnant again 10 months later. She and her husband were ecstatic when they made it out of the first trimester, and the pregnancy was progressing smoothly — until midway through. "I experienced bleeding (early) in the pregnancy and at 21 weeks I experienced premature rupture of membranes (PROM)," Ricks tells FitPregnancy.com. "I was put on bed rest and knew that it was going to be a highly stressful pregnancy from that point forward." With her water breaking so early in the pregnancy, her daughter was born prematurely at 23 weeks and four days pregnant. "She was immediately rushed to the NICU and her father spent most of her life with her," Ricks recalls. "I was in recovery and came down to the NICU four hours later. My daughter lost her fight. She passed away within six hours of being born." But a new tool that can access a pregnancy's risk of premature birth before it happens could help reduce the number of preterm births and increase the likelihood that interventions succeed. The PreTRM test, developed by Sera Prognostics, is a simple blood test, performed during the 19- to 20-week timeframe. It can help pregnancy care providers assess whether a mother carrying one baby is at risk for premature birth before symptoms and danger arise. "Currently we wait for symptoms to appear before we treat patients, but if we know earlier, we could potentially intervene earlier and therefore prolong gestation," Dr. Hechtman explains. And the test made the difference for Ricks when she became pregnant again after her daughter's death and another miscarriage. "I knew I was a high-risk pregnancy and my doctor and I were on the fence on how to proceed," Ricks says. It was then that her care provider suggested taking the PreTRM test, so they knew the odds of experiencing another premature birth. "The test revealed that I was at a 50 percent risk, so my doctor and I took a very aggressive and proactive approach to my pregnancy," she says. Ricks says the PreTRM didn't just set the ground for her and her care provider to ensure they did all they could to keep her baby healthy, it was an emotional safeguard for her. "Emotionally, I think [the PreTRM test] was huge for me," she explains. "I needed to make sure I was doing everything in my power to help my baby. Taking a simple blood test like this, and finding out you are higher risk could give you the push to see a specialist, or even make a 'plan of attack' with your current care provider." This time, the interventions succeeded, and Ricks' son was born healthy and full-term. Dr. Hechtman says this new tool is powerful because "every 24 hours is a miracle" when it comes to gestation and the baby's health so doctors should want to do everything in their power to ensure that fewer preterm births happen. This new test can help blaze the path for better care for moms and their babies.